ROWE|MULLEN LLP is a law firm located in San Diego, California. Charles E. Rowe and Martin J. Mullen were long-time partners of a large, nationally recognized law firm before co-founding Rowe Allen Mullen, LLP in 2006, now ROWE|MULLEN LLP. The firm includes six carefully selected and preeminent attorneys, with combined experience of over one hundred and twenty years. We are dedicated to delivering cost-conscious, winning legal services. ROWE|MULLEN has an "AV" rating issued by Martindale-Hubbell. 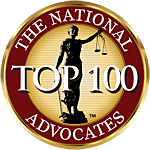 Martindale-Hubbell is recognized by the legal profession, worldwide, as the definitive publisher of attorney and law firm listings. An "AV" rating is the highest rating that a firm can achieve. It represents an objective determination, based upon extensive evaluation and reviews, that the firm meets the highest standards of quality legal services and ethical conduct. Learn more about our rating here. ROWE|MULLEN is a member of the "100 Percent Club" of the San Diego County Bar Association. This means that ROWE|MULLEN is in a special category of law firms in San Diego who have demonstrated an outstanding commitment to the work done through SDCBA programs and services in the legal profession and the community. Learn more about the 100 Percent Club here. We offer a full range of legal services to both individuals and businesses of all sizes. Our team of lawyers, each with their own specialized skills, has collaborated together for many years to ensure that our clients' representation is efficient and thorough. We will not churn your case, or bill for unnecessary work, or turn your matter over to inexperienced associates and make you pay for their "learning curve." We get it right the first time. We will handle your legal issues seamlessly and completely, from beginning to end. ROWE | MULLEN accepts payment in the form of cash, checks, Mastercard, Visa, American Express and Discover. In select cases, we will accept a contingency arrangement or a payment plan. Our attorneys are available to our clients 24/7/365. We understand that legal issues can be stressful, and we assure you that we will be there when you need us.